Average overall ratings - Based on 2291 reviews. The Costa Brava is located in the province of Girona in Catalonia, in the northeast corner of the Iberian Peninsula. It is well-known for the many resort towns such as Lloret de Mar and Blanes, but the truth is that there are also many hidden gems on the Costa Brava: picturesque towns and typical fishing villages dotted along the rocky coast. Its coastline is almost 300 kilometres long and very varied, with wide bays, small coves and high cliffs. The Costa Brava is a diverse region of extraordinary natural beauty and has a very deep artistic and historical heritage. Choose from a wide selection of holiday villas on the Costa Brava. The Costa Brava has numerous microclimates, depending on the altitude of the area and the proximity to the sea. In general, the region has a Mediterranean climate, with mild temperatures. Summers are usually hot with average temperatures around 25 degrees. Spring and autumn are sunny and mild. The winter weather is variable: some winters are very mild, others are cold (and it could even snow). Apart from Spanish there is a second official language spoken in the Costa Brava (and all of Catalonia): Catalan. Most Catalonians are bilingual. The Costa Brava has a very rich history. Everywhere in the region you can find historical buildings and significant ruins, dating back from Roman, Greek and even palaeolithic times. There are also many medieval villages and castles in the area. The ruins of Empúries, just outside L’Escala, are one of the most important ruins of the Costa Brava. It was an important trading city and port founded by the Greeks. Later it was acquired by the Persians, and after that by the Romans, resulting in a unique mix of buildings and architectural styles. With any of these holiday rentals in and around L’Escala you have the perfect base to explore these interesting remains. Roses is a Mediterranean town with a notable tourist and seafaring tradition. The town itself dates back to the 8th century BC. It is located in the Gulf of Roses, a unique natural environment in the northern area of the Costa Brava, less than 30 km from the French border. Roses is the only Costa Brava resort that faces west, which means you have a great view of spectacular sunsets. Choose from our selection of villas in Roses and enjoy the best sunsets on the Costa Brava. Blanes, also known as the Gateway to the Costa Brava, was once a small fishing town but is now a bustling seaside resort. It still retains its original charm. Apart from its harbour, sandy bays and small rocky coves, Blanes’ main attractions are the historical buildings and the Marimurta botanical gardens. Stay in one of these holiday rentals in Blanes and discover this charming city. Tossa de Mar is a pretty town with cobbled streets, constructed around a magnificent medieval castle. The surrounding countryside with its valleys and rivers is absolutely stunning: a great place to hike and cycle! 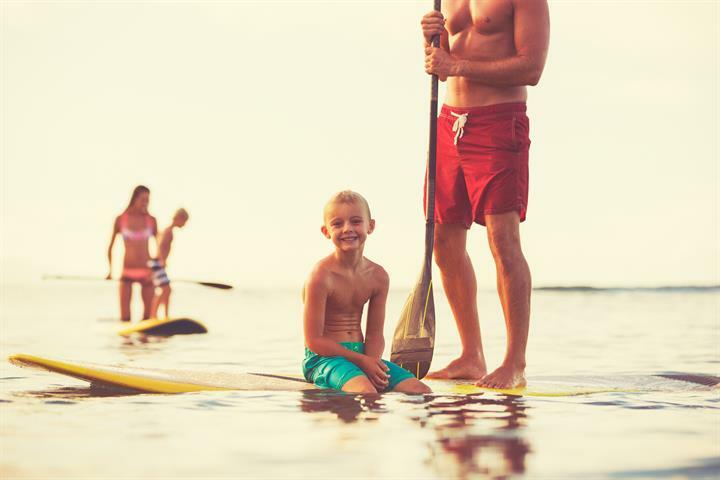 The city beach is perfect for a day of relaxing with the family. View our wide range of apartments and villas in Tossa de Mar. Lloret de Mar is situated in the southern part of the Costa Brava. This is one of the Mediterranean’s most popular resorts and the liveliest holiday spot of the area. It has the best pubs and bars, located along its five main beaches. But don’t just visit for the nightlife and beaches! There are many historical buildings, museums, modernist architecture and traditional events waiting to be discovered. With any of these holiday villas and apartments in Lloret de Mar you can enjoy everything the city has to offer. Begur is a medieval village with cobbled streets and whitewashed houses draping the hillside below the ruins of a stone castle. It is a great place to do water sports such as snorkelling and kayaking, thanks to its many coves and its proximity to the Medes Islands, which are a marine reserve. On dry land you can enjoy the historical buildings, pretty boutiques and amazing gastronomy. Take a look at our holiday homes in Begur for an authentic Spanish holiday. The medieval town of Pals is located to the east of the city of Girona. This charming town is not as well-known as most beach resorts, but with its cobbled streets, craft shops, traditional restaurants and bars it is a great place to visit in Catalonia. It is situated on top of a hill and overlooks Platja de Pals, the main city beach. 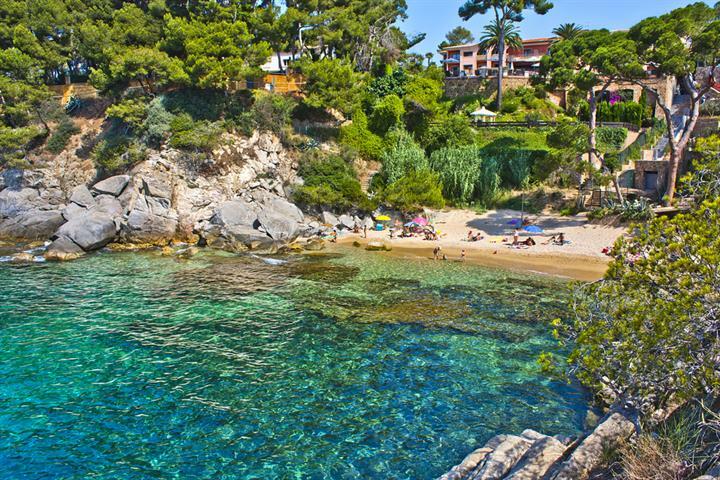 The Castell-Platja d’Aro municipality is located between Lloret de Mar and Begur. It consists of 3 main towns: Platja d’Aro, Castell d’Aro and S’Agaró. Platja d’Aro is a cosmopolitan town, with a historical city centre and several beautiful beaches nearby. Castell d’Aro is a medieval village that exudes charm. S’Agaró is smaller beach-side town, with beaches that are great for swimming and diving. 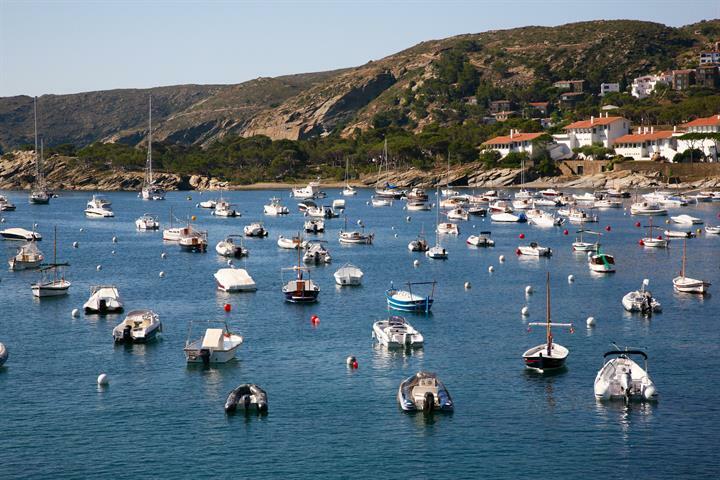 Calella de Palafrugell is an attractive fishing village, well known for its various rocky coves, sandy beaches and excellent fish restaurants. It is well-known for the annual Cap Roig Garden Festival held in the Cap Roig Botanical Gardens. This music festival is one of the most important European festivals. Its headlines have included Shakira, Elton John and Andrea Bocelli. Check out a selection of great villas and apartments in Calella de Palafrugell and enjoy the Cap Roig Festival. The beaches of the Costa Brava vary from beautiful stretches of golden sand, to tiny, hidden coves. In the whitewashed village Tamariu you can find one of the most beautiful beaches of the Costa Brava: Platja de Tamariu, a sandy beach of about 750m long. It connects to several smaller coves, and it has great water sports facilities. For an amazing beach holiday, rent one of these villas in Tamariu. 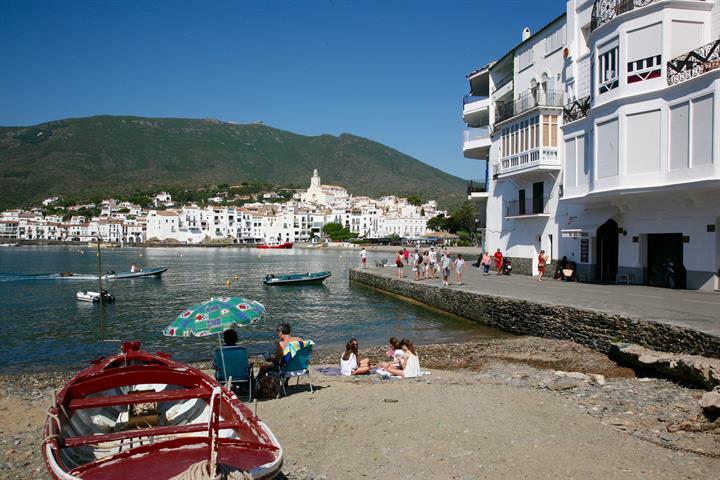 The wonderful village of Cadaqués, is home to the Cap de Creus Nature Reserve which forms a series of beautiful tiny unspoilt coves. On the other end of the spectrum, Empuriabrava is home to some of the Costa Brava widest and longest beaches, with excellent facilities and awarded the famous Blue Flag Award. View our selection of holiday rentals in Empuriabrava and enjoy a relaxing holiday. The gastronomy of the Costa Brava is rich and varied. It mainly consists of fish and seafood with fresh vegetables, olives and olive oil, pasta and rice. Since the north of the Costa Brava is close to the Pyrenees, there are also excellent meat and game dishes, as well as sausages. Escudella i carn d’olla is a typical Catalan dish. It is served in two parts: first the escudella, broth with pasta and/or rice, and second the carn d’olla, the meat and vegetables that were used to make the broth. The traditional breakfast food is called pa amb tomàquet, rustic bread, toasted and rubbed with tomato pulp and garlic, and seasoned with oil and salt. You can order it on its own, or with ham, sausage or tortilla. Coca is a pastry made with thin dough, similar to pizza and focaccia, that can be sweet or savoury. The savoury version is often topped with some kind of fish or meat and vegetables, while the sweet version can be topped with any kind of fruit, chocolate or cream. Gastronomy is taken very seriously on the Costa Brava. 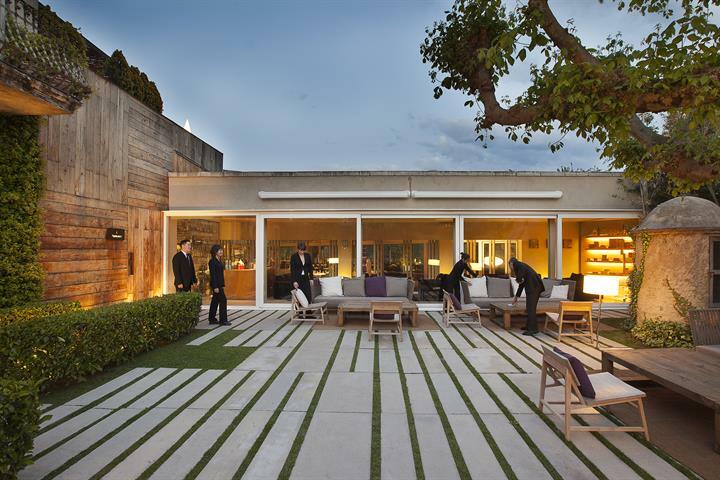 It is home to many excellent restaurants, among them the famous El Bulli, which was named best restaurant in the world five times and was very influential in the world of molecular gastronomy (unfortunately, it closed in 2011 but it reopened in 2014 as a creative gastronomy centre). Every year there are also culinary competitions and festivals in many towns along the coast. L’Estartit, for example, hosts Tastets de Mar La Clova, a festival focussing on seafood, and La Manzana en la Cocina, where dessert lovers can sample any kind of sweet dish made with apples. Take a look at our holiday villas in L’Estartit and don’t miss out on these and many more foodie festivals. The Costa Brava has attracted the artistic and cultural community for many years. Its natural beauty has given inspiration to famous artists such as Salvador Dalí, Joan Miró and Pablo Picasso. Specifically Dalí was inspired by the picturesque coves of the area, especially by the spectacular scenery at Portlligat in Cadaques. He used to live in the village and used the bay and island of Portlligat in some of his paintings like The Madonna of Port Lligat and Crucifixion. The house where he lived (and that he designed himself) is now a museum. Stay in one of these holiday homes in Cadaqués and discover exactly why Dalí was so captivated by this region. There are also many festivals and fiestas that take place on the Costa Brava: from famous music festivals such as the Cap Roig Festival in Calella to traditional fiestas like the Fiesta Mayor, there is always something to do. One rather unknown festival is the Temps de Flors in Girona. It is a spring festival, during which the entire city of Girona is filled with the most beautiful floral displays, and private gardens are opened to the public so they can admire the expertly arranged and cultivated flowers. View our range of villas and apartments in Girona and enjoy this amazing festival! Because the Costa Brava is such a geologically diverse region, you can practise virtually any sport from hiking and canyoning to diving and surfing. The many natural parks in the mountains are perfect for mountaineering, mountain biking and rambling, and the coves along the coast offer many great locations to snorkel. One of the best spots to do water sports is Llafranc, where sandy beaches offer sailing and surfing possibilities and the nearby Medes Islands are a marine paradise for divers and snorkelers. Browse our range of holiday villas and rental apartments in Llafranc. The Costa Brava is a wonderful holiday destination for families. It has everything: adventure parks, water parks, great beaches and boat trips! 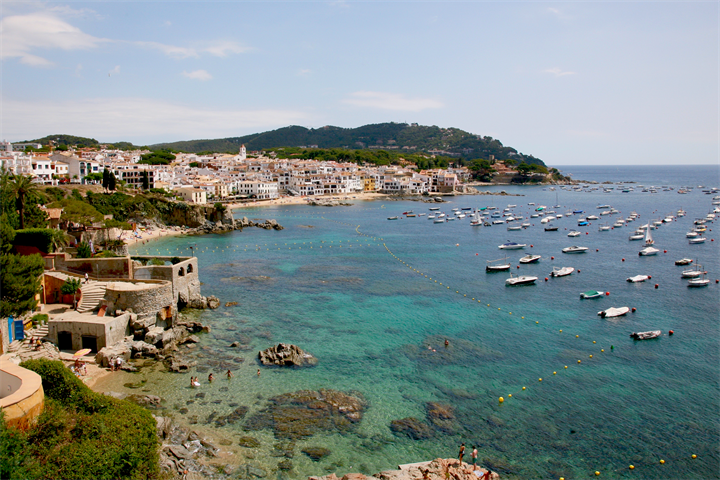 Take a trip down the Calella de Palafrugell coastline. Read on to discover its beautiful coves and beaches. Figueres is a great destination - perfect for enjoying the sun, beaches and discover fantastic waterfalls. 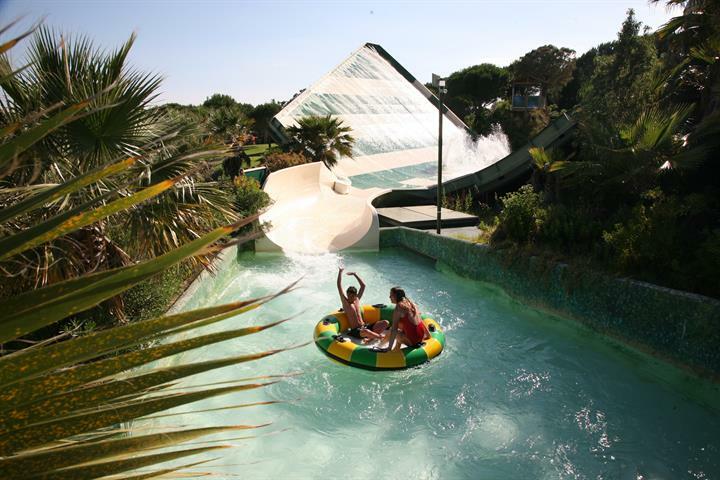 Discover all the best activities to enjoy a holiday in Roses with your family. 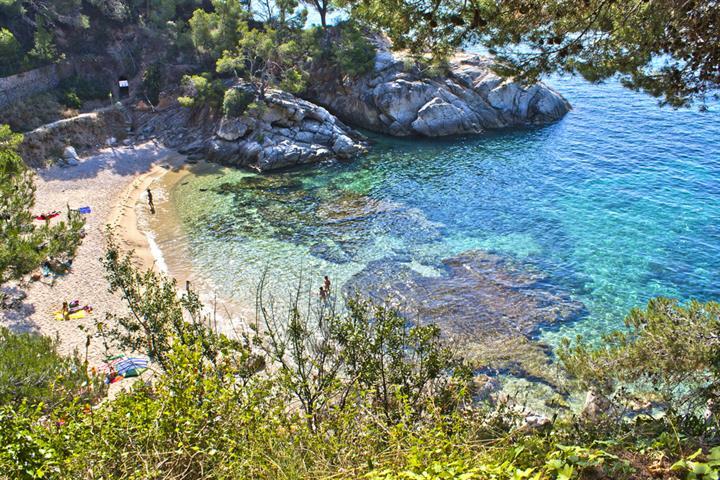 The first Spanish coast to target tourists, Costa Brava boasts an alluring shoreline. Visit for fun in the sun. Check out some of the best beaches. The Costa Brava was one of the first areas British tourists flocked to. Yet it's not all English breakfasts. Discover the area's Michelin restaurants. I didn't go to the coast a lot because of the weather, I was concentrated to follow the history of Dali (Figueres, Pubol, Portlligat, Girona) but in the evening I was enjoying walking along the coast using a nice walking path. There was a funfair on whilst we stayed here and was a great day out for the kids. We went to Lloret de Mar for the day and had a great time, lots of restaurants, snorkelling & sunbathing. Levendig kustplaatsje met haven , boulevard en langgerekte zandstranden. Fantastische omgeving om wandelingen langs de kust te maken en te fietsen. Zelfs voor de minder geoefende fietser is dit mogelijk. Bijvoorbeeld van Olot naar Girona. Quiet place but with enough shops to get by easily. Amazing, the local beaches were great!